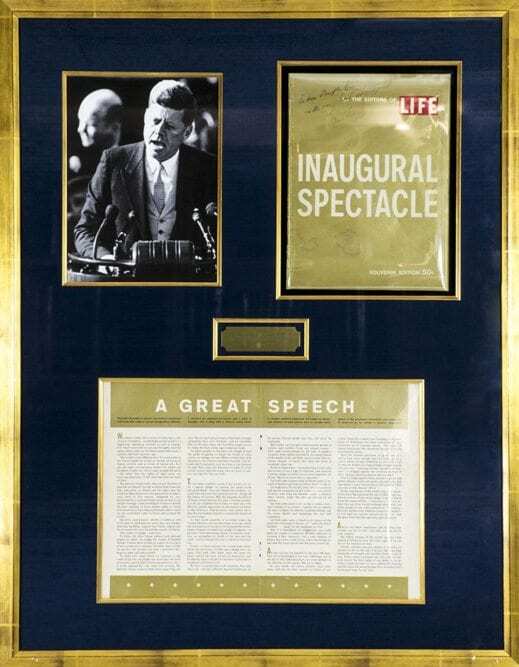 Inaugural Address of John F. Kennedy: President of the United States of America. 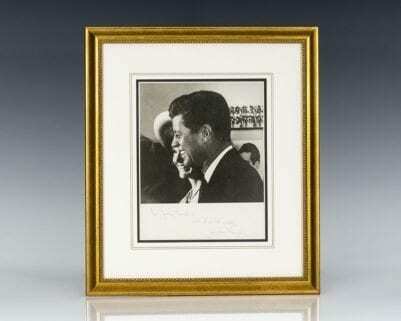 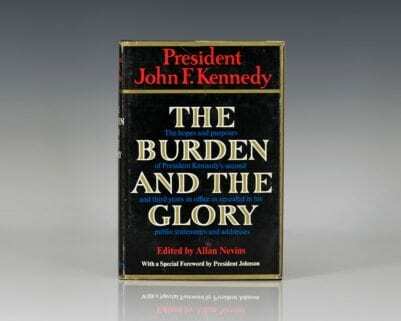 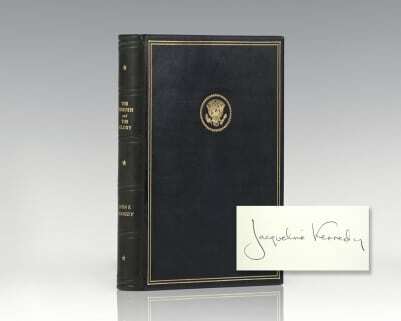 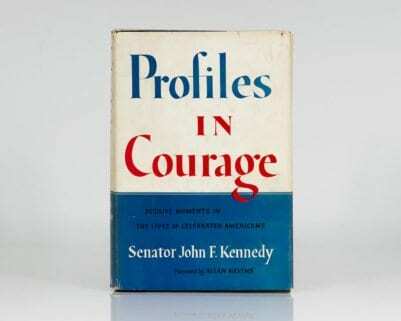 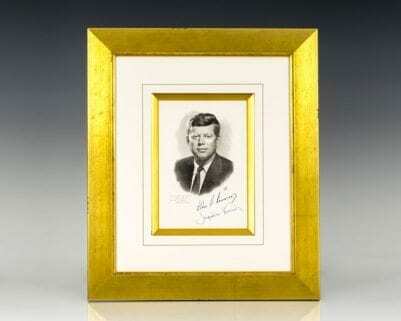 Rare first edition of President John F. Kennedy’s Inaugural Address, one of only 100 copies. 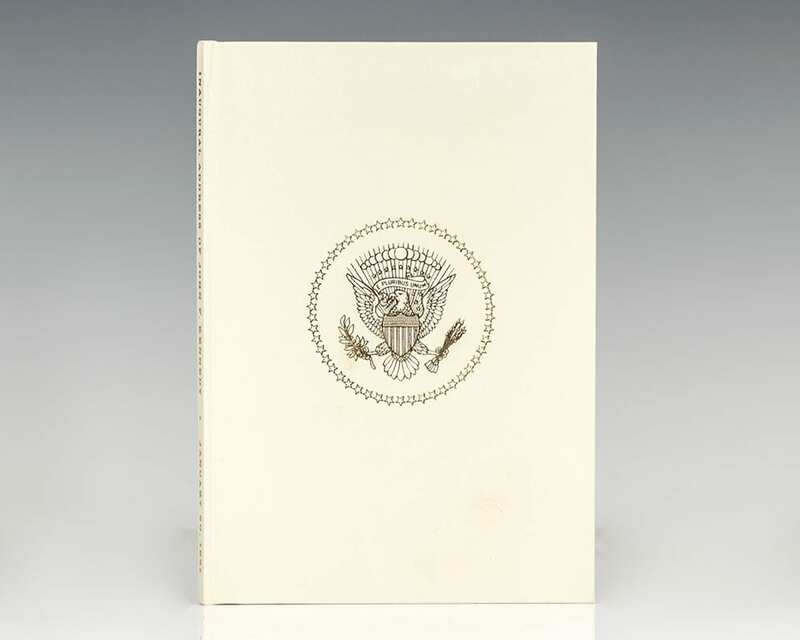 Octavo, original white cloth with gilt Presidential seal to the front panel and matching slipcase. 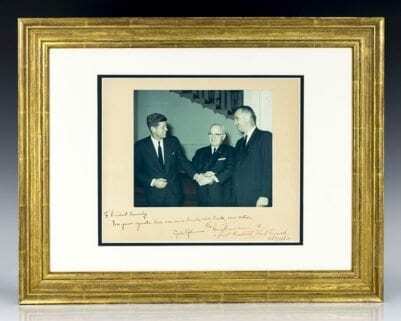 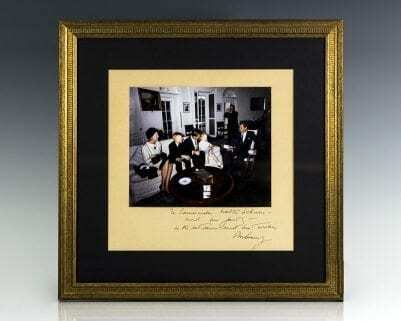 Laid in is the original accompanying presentation photograph of Kennedy with a pre-printed sentiment inscribed to David S. Carmichael. 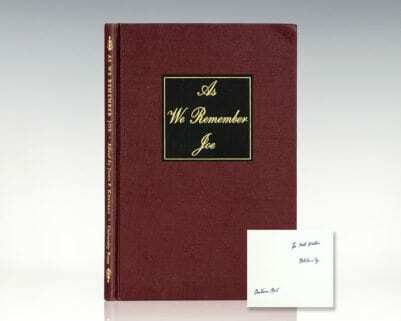 Fine in a fine slipcase. 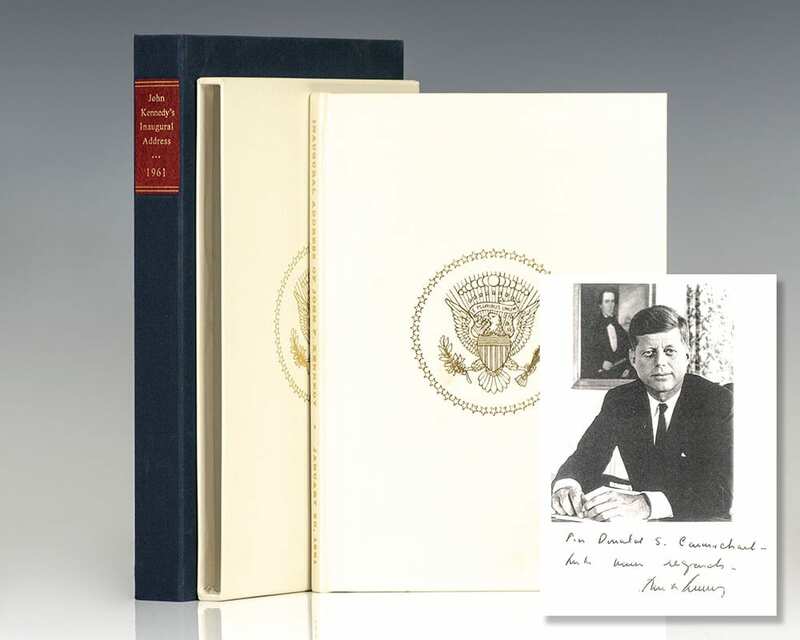 Housed in a custom clamshell box. 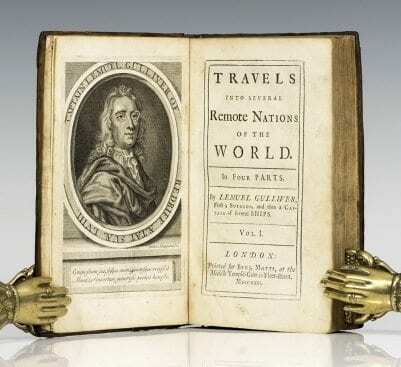 Scarce and desirable. 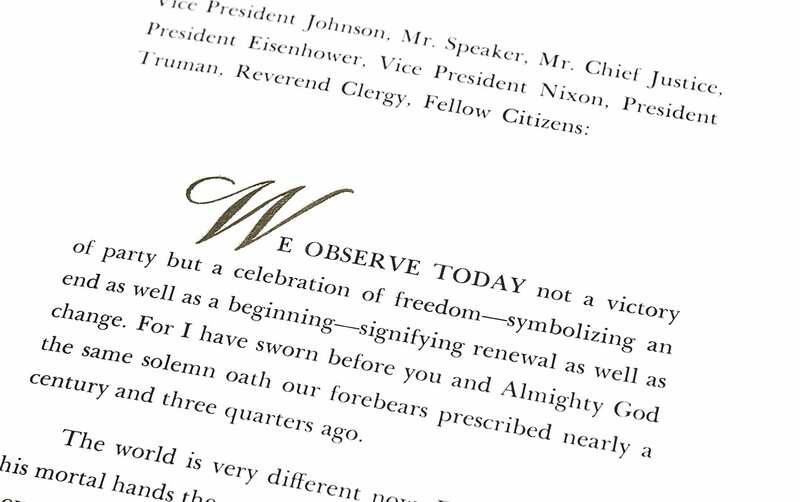 Held on January 20th, 1961, the Inauguration of John F. Kennedy marked the commencement of Kennedy's only term as President and of Lyndon B. Johnson's only term as Vice President. 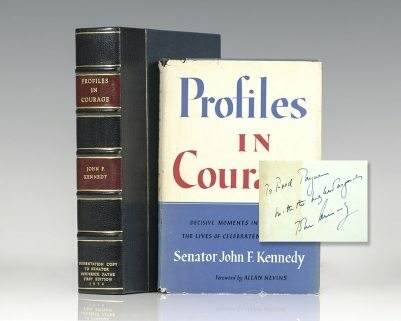 Kennedy's inaugural address encompassed the major themes of his campaign and would define his presidency during a time of economic prosperity, emerging social changes, and diplomatic challenges. 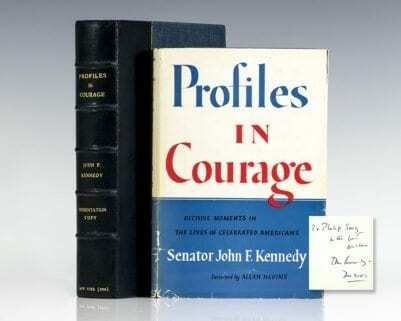 Kennedy's inauguration was the first in which a poet, Robert Frost, participated in the program.